If you would like to contact Studio Primrose OR receive workshop schedules, painting tips, or be informed of new videos, please submit your email information below. Thank you! 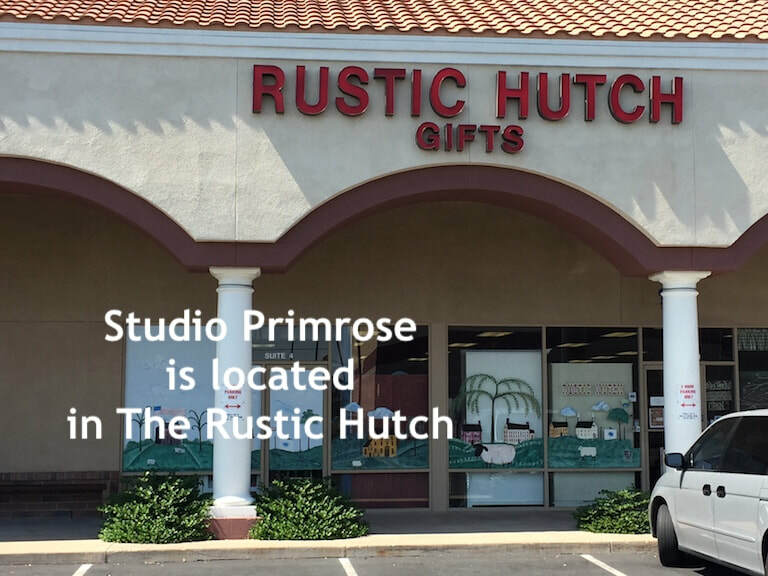 Studio Primrose is located in The Rustic Hutch. Please look for the Rustic Hutch sign on the building. discuss your project, please call her mobile number to set a time to get together.